My grandfather was a laborer at R.T. French & Company in Rochester, NY, loading and unloading freight cars, and then working in the spices and birdseed areas where he prepared those commodities for mixing and packaging. It was hard, physical labor. He died at age 65 of lung cancer which the doctors felt was undoubtedly connected to his work because of the heavy dust infiltration in the area of the factory where he worked. 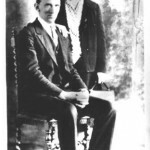 My grandfather emigrated to the United States in 1923 from the Netherlands—he had no education beyond several years in a Dutch primary school. My grandmother worked after her arrival in Rochester, from Belgium in 1920, as a cleaning woman in an orphanage until 1925 when she had saved enough to buy a heavily mortgaged house on Mayberry Street. She ran a boarding house while raising my Aunt Jennie and my father, William. It was a very modest house with about eight boarders, mostly Dutchmen, who were immigrants and worked as laborers or chauffeurs or gardeners for the most part. My grandmother did everything—cooking, laundry, lunches to take to work, cleaning. In 1938, factory employment became possible and she worked at R.T. French preparing mustard and spices for marketing, and when the war came, she took special training to operate a lathe –and worked in a war production factory. After the war, she became a cleaning lady again at the University of Rochester. There was no labor union until 1948. My father was working in the laboratory of R.T. French that summer, earning $1.25—my grandfather who had worked at the company for more than 20 years was earning $1 an hour. He was fearful that the advent of the union would cost him and others their job since they went out on strike. The union won—my grandfather’s pay went up 50 percent overnight. The way my grandparents worked inspires in me great respect for those who did the hard physical work that built—and continues today to build this country. They showed me the value of a powerful work ethic. Today I work hard in other ways—with words and political engagement—but am always informed by their lives and example. In that spirit, as Editor and Publisher of The Nation, I work to ensure that all those who labor hard, like my grandparents, earn a decent living, that they are treated at work with dignity, live with dignity and retire with dignity. Katrina vanden Heuvel is Editor and Publisher of The Nation. 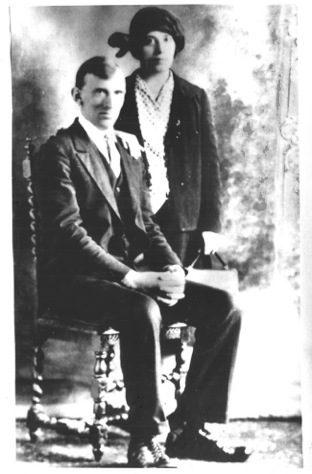 Photo of Katrina vanden Heuvel’s grandparents, courtesy of the author.